TYR Sport Anti Fog and Lens Cleaner Spray 0.5oz. Earn $0.24 in VIP credit (24 points)What's This? 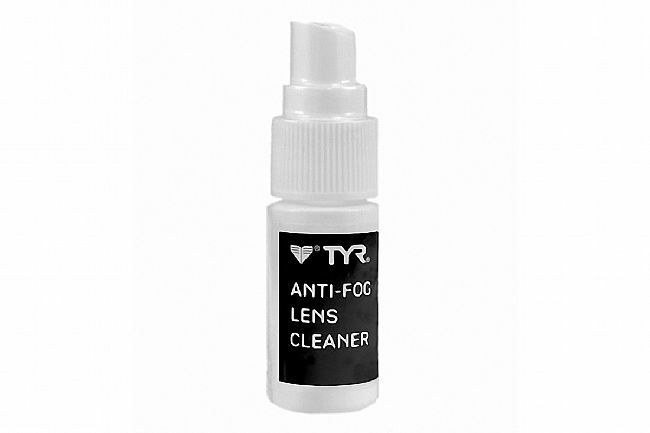 TYR's Sport Anti Fog and Lens Cleaner Spray (0.5oz) contains isopropyl alcohol and a detergent that's specifically formulated to keep goggles and eyeglasses clean and fog free. Spray the solution on any goggle, mask, or lens (plastic or glass) and wipe.